Nov. 21, 2016 – San Diego, CA — A federal judge overseeing the Bair Hugger MDL laid out the protocol for choosing bellwether trials in an order issued Nov. 16. Judge Ericksen’s Nov. 16 order also allowed the parties to engage in limited, case-specific discovery between Jan. 21, 2017 and March 17, 2017. This could include gathering case-specific medical records, product identification numbers and hospital infection rates, according to the order. The Nov. 16 order did not establish a schedule for the bellwethers once selected. That protocol will be determined at a later date, the order stated. The case is In re: Bair Hugger Forced Air Warming Devices Product Liability Litigation (MDL 2666) in the U.S. District Court for the District of Minnesota. Bair Hugger Forced Air Warming blankets are used during surgery to keep a patient’s body temperature from dropping while under anesthesia. 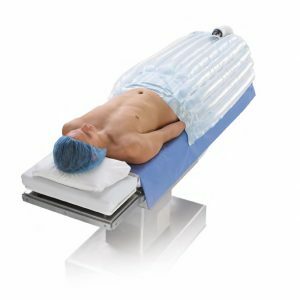 The system consists of a warming unit and a blanket: The warming unit uses a motor and heating element to force heated air into the blanket, which is draped across the patient to keep his or her body warm during surgery. Bair Huggers are used during a variety of different surgeries, including many joint replacement surgeries. The medical device came under fire in recent years after patients suffered deep joint infections while undergoing knee or hip replacements with the blanket. Several scientific studies suggested the warming unit could be picking up dust and debris from the operating room floor and circulating those particles onto the open surgical wound, causing an infection. Patients harmed by the device began filing lawsuits against the maker of the Bair Hugger Forced Air Warming System, 3M Corporation, and its original manufacturer, Arizant Healthcare Inc.
Judge Ericksen has been presiding over the Bair Hugger MDL since federal cases were first consolidated in the U.S. District Court for the District of Minnesota in December 2015. There were more than 880 lawsuits pending in the district court as of Nov. 15, and additional state cases are pending in Minnesota’s Ramsey County District Court. Bair Hugger lawsuits allege the forced air warming blankets were defectively designed, manufactured and marketed, and accuse the maker of the device, 3M Corporation, of knowing about the potential risks but failing to warn healthcare providers or the public. If you suffered a deep joint infection after undergoing joint replacement surgery with a Bair Hugger blanket you may be entitled to compensation. Contact the experienced lawyers and attorneys at Hood National Law Group to see if you qualify for a Bair Hugger lawsuit. 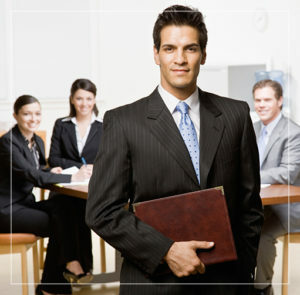 Call us today at 1-800-214-1010 for a free case evaluation or use the form on the right-hand side of your screen.